Step inside the inspiring world of Jamie Siever and expect to be mesmerized by the warmth, emotion, and striking balance of bold vs. ethereal that she is able to accomplish through her photographs. This motivated professional blends her love for photography, tattoos, and family together in a way that is creative and incredibly effective. A mom and wife herself, this Philly-based artist has honed in on what she knows best, by focusing most of her exceptional work on family and child portraiture, with a special emphasis on tattooed parents. This fusion of worlds results in memorable shots that combine the candid devotion of a family and their love for one another, with the vivid tattoo artwork that explodes through the camera's lens. Jamie caught the photography bug at an early age, using a little 110 film camera and keeping at her side as a constant companion. So driven was she to learn the craft, that she became skilled at developing her own photos in a darkroom by the time she was in fifth grade. Between formal classes and the self-immersion she dove into, she learned all that she could about the art of photography. Siever went professional a few years ago and decided to put her passion to work for herself. In the tattoo and artistic-rich city of Philadelphia, Jamie is a constant fixture when it comes to being a "go-to-girl" for tattoo photography. 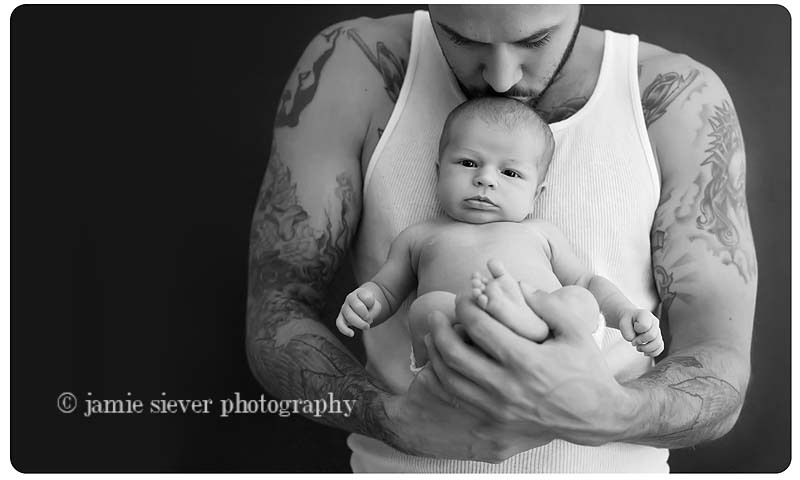 With a focus on newborn, child, and family photography, she keeps busy with on-location sessions; and is especially keen to accept gigs that involved tattooed parents and their little ones, whenever possible. I was thrilled to nab an interview with Jamie and learn about how she was drawn into the photography world, what she is doing now, and where she sees herself headed in the future. I hope you enjoy learning more about this inspirational shutterbug. Not only are her photos a breath of fresh air, but the beautiful person behind the camera is delight as well. Enjoy her outstanding photography and words in today's Art Spotlight. Can you tell us a little bit about yourself, your kids, husband, family, and life in general? I am a mom to a four year-old boy. I am married and have been for nearly eight years to a man who makes me laugh until I run out of breath. We have two pit bull mixes, Gracie and Zoe, who drive us nuts and make us laugh, and who sleep under the covers with us. I am an organic food eating, progressive-education supporting, FDA-mistrusting mama who loves hearts and the beautiful light before sunset, and driving with the windows down. Where do you guys reside and where is your studio located? We live outside of Philadelphia in Delaware County. I actually don’t have a studio. 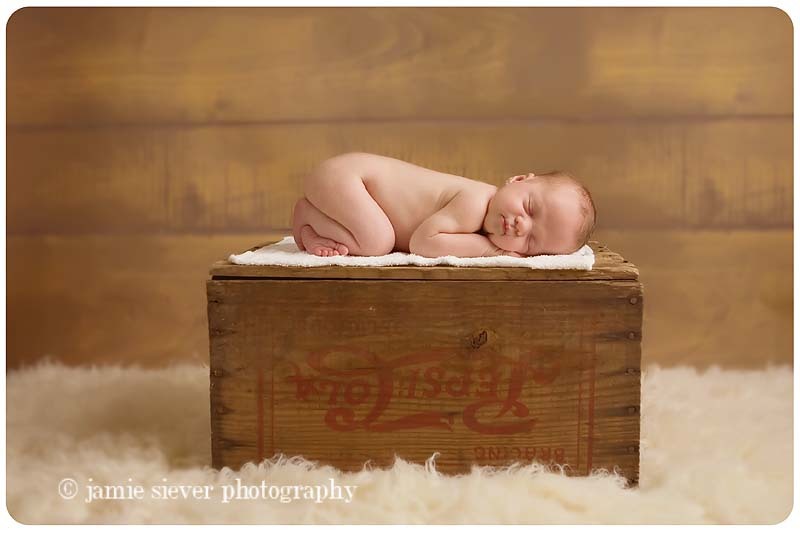 When I shoot newborns, I go to my clients’ homes, and I also do a lot of family shoots outdoors. I always kick the idea around of a studio, but I like to be inspired by the beautiful outdoor light and I also like to keep it convenient for my new parents. I’ve always been the person behind a camera, since I was a little girl. I took pictures everywhere with my little 110 film camera; eagerly taking it to be developed at the drug store and waiting for what seemed like forever to get that package back. In fifth grade, I learned to develop photos myself in a darkroom and continued to learn about that process through high school. When digital came, I embraced but with a point and shoot. Once my son was born, I just wasn’t happy with the photos I was paying for or taking myself with that, so I bought a dSLR and seriously studied everything I could get my hands on. What was your first camera and do you remember what/who you first shot? I know I had my 110 film camera, and then later a borrowed Leica 35mm camera. I took a lot of photos of my little brother, of ephemera, of things like a broken engine I found outside. When did you decide to go professional? Can you tell us about that time in your life? I had a crazy one-to-two-year period where I was shooting clients, working at a law firm, being a mother to a two year-old child, and being a wife to my husband. It was insane, because I would be up so late, and then getting up with my son. Something had to give, and I knew eventually that my passion for photography would win out. It did. Your work is so fantastic! Were you formally trained in photography or are you self-taught? Thank you, Jinxi. I took quite a few classes in my education before college, and I have taken workshops and classes as an adult as well, but I didn’t attend college for photography. What I did was read every website, book, online course and photoshop book I could get my hands on. I do think that my elementary education degree does help me when I’m photographing kids, though! Can you tell us how your focus on shooting newborns, children, and families came to be? I’m a former teacher and a mom to a four year old. I shoot what I know - and where my eyes today see beauty. I see it in the way my little boy looks at his dad, and I see it in the adoration that a mother has for her child. I see it in the love that a family has for one another; the way they laugh together and know each other better than anyone in this world. So, it was natural to me to shoot those things that I know and that resonate in my heart. Of course one of the things that drew me to your work was that you include many tattooed parents and people in your projects. Tell us about this direction and what you love about shooting those with inked skin. I love the contrast of inked skin against a tiny naked baby’s skin. I love the beauty of my clients’ ink and figuring out ways to use that to create my own art. The human form is so lovely, and I love how tattoos enhance that beauty. Something I love about it that I didn’t realize at first is that I’m also loving that my work is shocking to some people. It’s helped me to realize that there is a segment of the population who is genuinely surprised to see a heavily-tattooed person as a tender, loving parent. I’ve always been someone who likes to challenge what people think and why they think it. At first, I was pretty surprised that my beautiful client portraits were giving some people pause. It’s only made me love doing it even more. What are some recent projects that you have been working on? I have an ongoing tattoo artist spotlight that I’ve been working on for a while. Philadelphia has some really amazing tattoo artists, and it’s been great getting to know them. Not to mention, it’s great access to some of my favorite subjects! From this project has come some of my favorite photos I’ve taken. 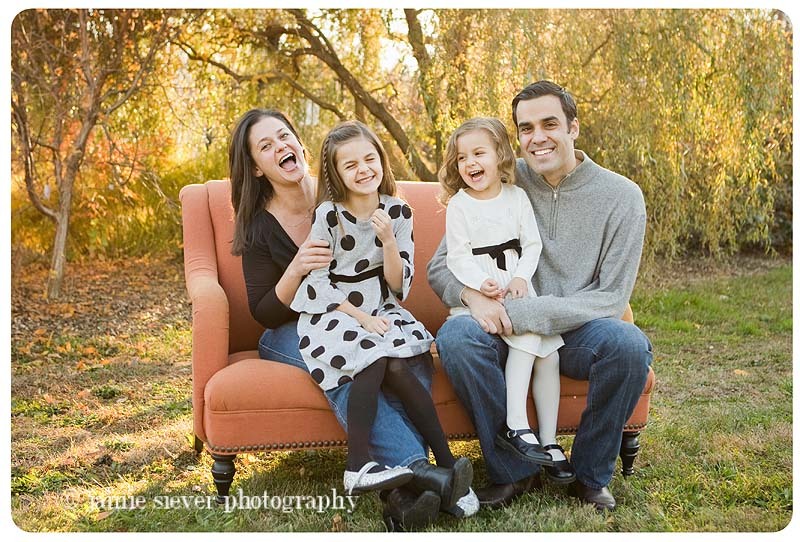 What's up next for Jamie Siever Photography and where can readers see more of your work? I blog my sessions as I shoot and edit them and post them to jamiesieverphotography.com, and my current portfolio is always visible at my website jamiesiever.com. What goals do you have for the year ahead in the regards to your photography? I’ve said for a while that my goal is to be the person who comes to mind when someone who has tattoos wants to hire a photographer. In the year ahead, I will be working to achieve that goal. Which photographers, artists, or people inspire you and influence your work? I’m inspired by tattoos and tattoo artists - not just for the beauty of the pieces themselves but for the artistry in the shading and the use of light. I really like what Zach Arias is doing today with educating photographers and his use of light is outstanding. Richard Avedon’s work is something I go back to a lot, also. You know, I’ve been mulling this one over for weeks, since I first saw this question. It’s a truly difficult one because I do feel that I have so many sides. As I say on my website, on the outside, I look like a soccer mom, but inside, I feel like Zach de la Rocha. I’m kind and friendly but doggedly determined, especially when I believe in something. Is saying “multifaceted” a cop out? If it is, I will say that the one word that best describes me is “mother.” Since having my child, nothing I do is not without his influence; how I think of things, how I view the world, when I buckle my seat belt; who I am is now infused with being a mother. How can prospective clients book you? Any final words for JinxiBoo.com readers? Family is the most important thing. Well, family, forgiveness, and french fries.